BUY TICKETS AND GEAR HERE!!!!! Located at 5040 West Pico Blvd. in Los Angeles, this spot is the first Black-owned and operated comedy club in Los Angeles. We selected this popular venue because of their 5-star Yelp reviews and reputation for showcasing only top-notch comedians. 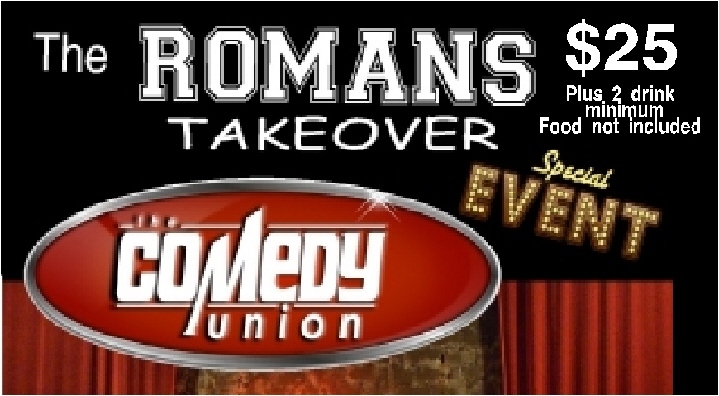 ROMANS are in control as they shut down the club for this private night that will surely be filled with lots of laughs and good times. Risk of SELL OUT for this event is HIGH. We will also recognize our "Eighties Babies" and "Soulful Sixties" classes as well as notorious Roman Rivals, THE DORSEY DONS! (Mr. Love is coming, he worked at both schools, he made us do it, LOL!) Lots of other surprises in store! Included in the price of $30 will be DJ entertainment, meat, bread, soft drinks and tableware/paper products. We will ask each class to supply a variety of sides and dessert. We are currently reviewing locations with easy access to the Bowl. Please feel free to make recommendations on the "Contact Us" form. Brunch is on your own and not included in any event price. Please come join us in the "Rowdy Romans" section!! We gon' be LIT! 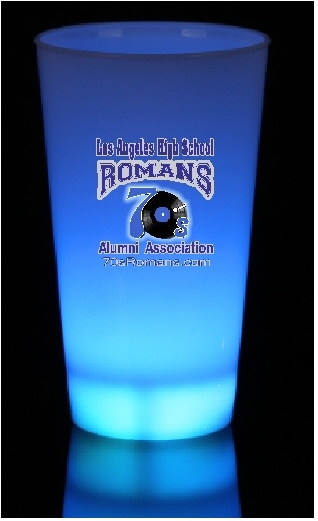 ---with these nifty Romans logo cups that is!! We won't be hard to spot with this 16 oz. battery operated LED flashing keepsake. This cup is included in your ticket price, extras sold separately below. Group tickets are limited, risk of sell out is HIGH. PLEASE GET YOUR TICKET NOW SO THAT WE CAN ENSURE YOUR SEATING WITH THE GROUP!! ****AFTER FRIDAY, MAY 3rd PRICES WILL INCREASE BY $10 AND WE CANNOT GUARANTEE SEATING WITH THE GROUP. 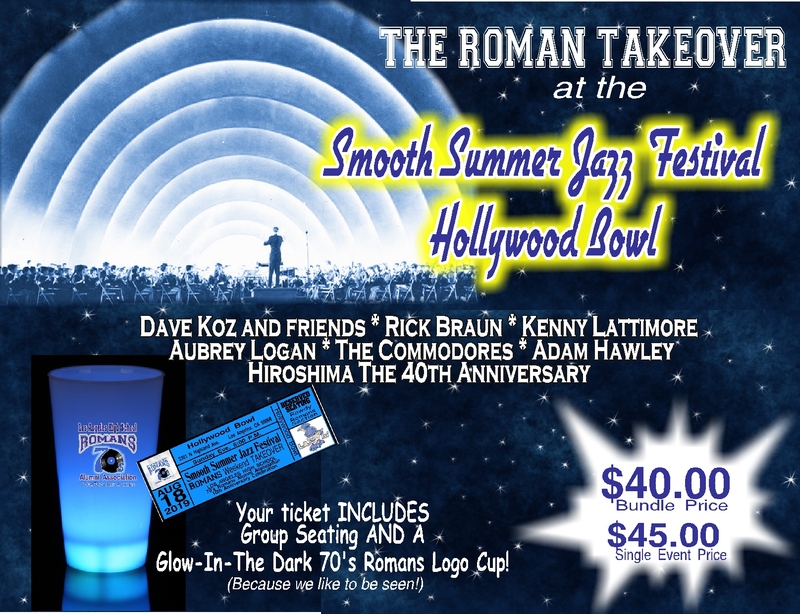 ***Tickets and cups will be distributed at the Comedy Club, the Picnic, and at the Hollywood Bowl ticket office until 6:30 pm. We will leave your ticket at Will Call if you arrive later. Then please locate a committee member for the cup. ****We are giving an award to the class with the best attendance. Please make sure you provide your graduation year. 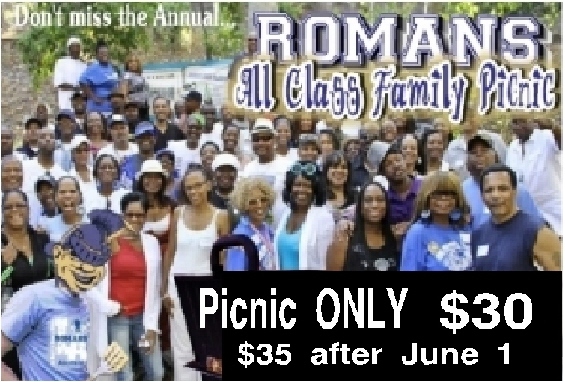 If you are buying multiple tickets for other Roman alumni please tell us their grad year(s) as well!! get Thee to a computer!!! Roman guests? 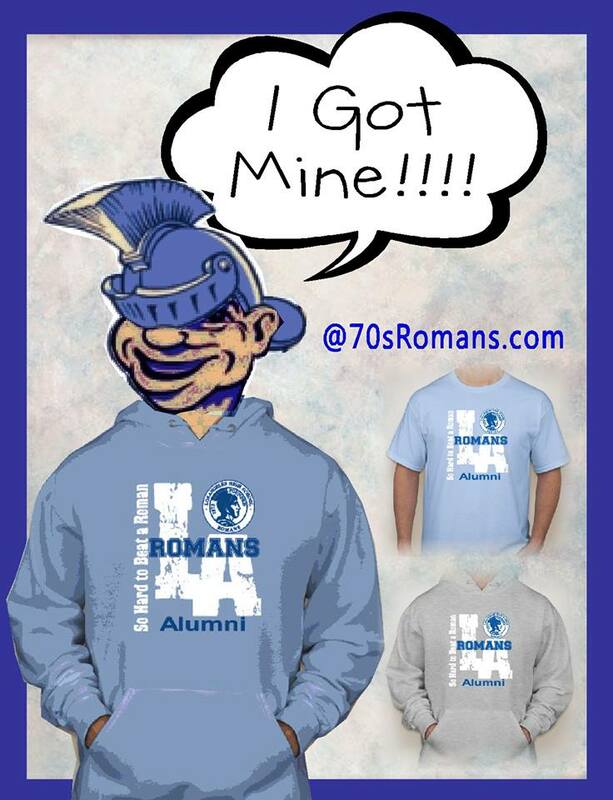 - Enter Grad Yr.
Roman Guests? Enter Grad Yr.
Did you miss these last time? Get 'em just in time for the picnic or the Bowl! The committee wants to do a quick distribution of pre-orders so that we may enjoy the event. Need it Mailed? No Problem! One flat rate for all quantities. If you are ordering both a t-shirt and hoodie, do not select this shipping option. We will include it with your hoodie shipping.